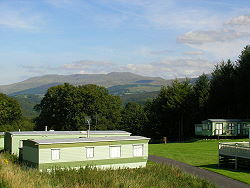 If you are looking for a caravan park that offers tranquility and mountain views, but is only 1 mile from the facilities of a local market town (Dolgellau), then Maelan Caravan Park is an ideal choice for your static caravan. From the park you can walk down to the centre of Dolgellau which sits at the base of the mountain Cader Idris. 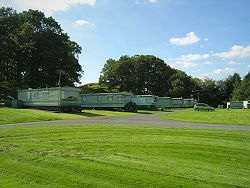 The caravan park is ideal for all ages from small children to retired couples. Dogs are allowed, but must be kept on a lead at all times. This is an ideal location for your caravan, being situated amongst the beautiful scenery of South Snowdonia and just 9 miles from the sandy beaches of Cardigan Bay at Fairbourne and Barmouth. The surrounding countryside provides an abundance of wildlife and stunning scenery. 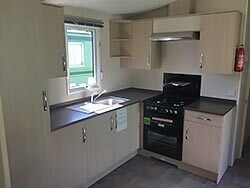 We have a new caravan on site for sale. 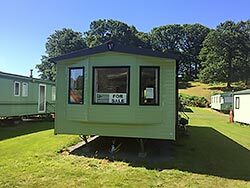 It is a 2018 35'x12' 2 bed Victory Torbay static holiday caravan that has never been used. It comes with double glazing and central heating as standard. It has fridge freezer and a high spec oven and also has an electric fire. 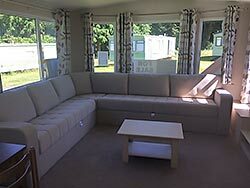 The price is £26,995 including all siting costs (water, electric, gas and waste connection). Please contact us for more details, or to arrange a viewing. 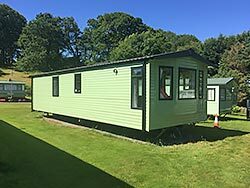 We currently have some seasonal plots/pitches available for 2019 for new or used caravans, so contact us now if you would like to own your own static caravan in this beautiful part of the Snowdonia National Park. 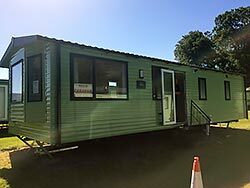 View the Caravan park page for more information including tariff and conditions. Being located near the centre of the National Park, there are plenty of things to do around this caravan park in Snowdonia. See the location page for information about things to do and see around Dolgellau and Snowdonia.